Philips awarded the Which? Best Buy. The AC3256/30 air purifier was awarded the Which? Best Buy. 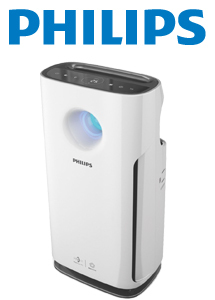 The Philips air purifier was featured in the April edition of Which? And was given the best buy. Philips received a massive 84% score and was given the verdict of an outstanding air purifier. The air purifier was tested on its performance for Dust, Pollen, Smoke, Ease of use, Noise at low settings, Noise at max setting and overall particles removed. The AC3256/30 beat the other models it was tested against. Philips have designed the air purifier to feature a three-layer filter system and a silent-running night mode.